Having announced their return to the revitalised Britcar Endurance Series in recent weeks with Ruben Anakhasyan and Ollie Hancock joining forces, Century Motorsport are pleased announce a second entry for the 2016 season, cementing their support of this popular championship. 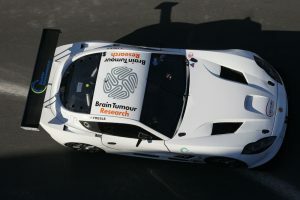 Century Motorsport stalwart Stephen Fresle made the jump from being a trackday regular in 2015 to competing in his full championship season in GT Cup. Despite a season of highs and lows, Fresle’s best results came in Rockingham and Donington, with victories at both circuits. Looking to build on those results and the experience he gained at his most recent event, the Dubai 24 Hours where he finished second in class SP3, Stephen will be hoping to make a popular return to the podium this season. Joining Stephen for 2016 will be a brand new member of the Century team. Jacob Mathiassen makes his first competitive appearance on British shores, making the move from the Citroën DS3 cup in his home country Denmark. The impressive 22 year old is keen to make a name for himself within the sportscar scene, and has identified Britcar as the next logical step in his career. Having started his year at the Dubai 24 Hours in Class A2, Jacob looks likely to be a strong challenger this season.